Researchers have determined that an attack which can wipe data from Samsung Android devices when visiting a malicious website can also be used to lock the SIM cards or completely wipe all of the data from many other Android phones. In addition to web pages, the attack can be triggered through SMS, or by a rouge NFC tag or QR code. 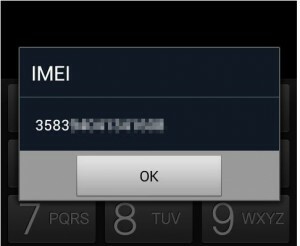 Here is a way for you to check if your phone is vulnerable to this remote wipe threat: Visit http://dylanreeve.com/phone.php on your Android device, and if your phone is vulnerable, you'll immediately see your phone's IMEI number pop up. I checked my HTC Google Nexus One this way, and it came back as being vulnerable. Other phones reported to be affected include the HTC One X, Motorola Defy, Sony Experia Active, Sony Xperia Arc S, and the HTC Desire. Reeve says that Samsung fixed the USSD/MMI code execution issue for Galaxy S III devices, but it appears that all 4.1-based builds are safe, and some 4.0.4 builds as well. Currently avast! Mobile Security is actively blocking URLs containing malicious code that triggers the exploit. Our Android users can expect an update containing protection against this kind of attack soon. We'll let you know when that is released. Edit: We are pleased to confirm that the newest update of avast! Free Mobile Security protects against USSD attacks, without installing additional tools. 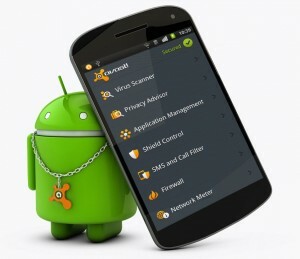 All you need to do is to accept the program update offered by avast! on your smartphone. Please share this message with your friends who are Android smartphone owners. They might need avast! Mobile Security too. Thank you.